Prof. Dr. Solveig Richter primarily concentrates on the effectiveness of various instruments of democracy promotion and specializes on the connection between democracy and peace. Here the core focus lies on the European Union and the Organization for Security and Cooperation in Europe (OSCE). Solveig Richter pursues an interdisciplinary approach ranging from theories of international relations (especially from socialisation and Europeanization research) to transformation research, and she emphasizes that democracy promotion can yield not only positive-, but also sometimes unintended, counterproductive side effects. Together with Tina Freyburg, she currently conducts research based on the effectiveness of political conditionality in countries as in the Western Balkans, Ukraine or Arab countries where the establishment of democracy by external actors is impeded by difficult preconditions. In addition, she provides the network expertise on democratisation- and state building processes in Eastern Europe, especially in South Eastern Europe. 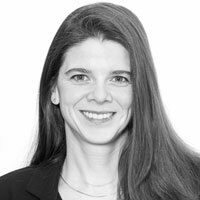 Prof. Dr. Solveig Richter is a Junior Professor for “International Conflict Management” at Willy Brandt School of Public Policy at the University of Erfurt. More about Solveig Richter here and here. PRIF Spotlight 10/2018, Frankfurt: Peace Research Institute Frankfurt. in: International Negotiation 23: 2, 258-277.
in: Das politische System Bosnien and Herzegowinas (Eds. ): Das politische System Bosynien und Herzegowinas. Springer, 243-273. Resource Scarcity – A Global Security Threat? SWP Research Paper 2011/RP 02, Berlin. in: Südosteuropa 59: 4, 448-477.
in: Journal of European Public Policy 17: 2, 263-281.
in: Ismayr, Wolfgang (ed. ): Die politischen Systeme Osteuropas, 3rd Edition, Wiesbaden, 837-895. Beiträge für die 17. Tagung Junger Osteuropa-Experten. No. 104, 43-46. Zur Effektivität externer Demokratisierung: Die OSZE in Südosteuropa als Partner, Mahner, Besserwisser? Demokratie, Sicherheit, Frieden No. 192, Baden-Baden: Nomos. in: Erdmann, Gero/Kneuer, Marianne (eds. ): Externe Faktoren der Demokratisierung, Baden-Baden, p. 147-168.
in: Institut für Friedensforschung und Sicherheitspolitik Hamburg (IFSH): OSCE-Yearbook 2008, Baden-Baden, 191-208.